Red Faction Guerrilla: Re-Mars-tered review code provided by THQ Nordic. 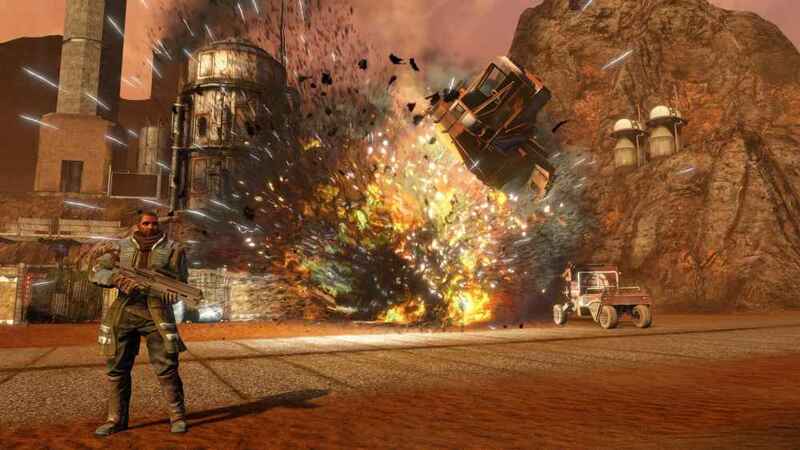 It’s been nine years since the release of Red Faction Guerrilla, and it still has the best destructible environments to this day. Thanks to the Re-Mars-tered Edition everyone can experience the best Red Faction title in the franchise with a higher frame rate and some boosted graphics. The Red Faction battles the ruthless EDF to restore independence to Mars using any means necessary. 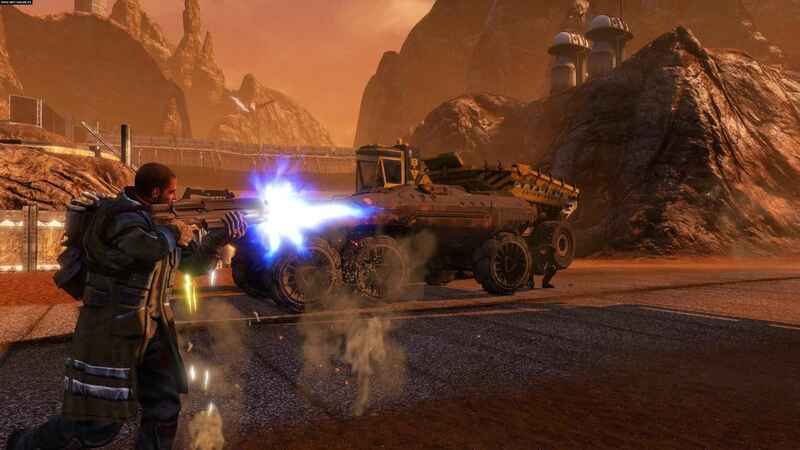 Red Faction Guerrilla tells the story of Alec Mason, a mining engineer who has just arrived on Mars to make a good living for himself. Joining up with his brother Alec, he quickly realizes there is a rebellion brewing on Mars. The EDF (Earth Defense Force) have taken a strangle hold on Mars. Working the miners to death and accusing and locking up anyone who opposes them. 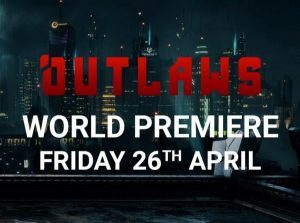 While on his first job Alec and his brother are accused of being part of the rebellious faction known as the Red Faction. Alec’s brother is gunned down and he’s then forced to join the Red Faction and liberate Mars of the EDF. 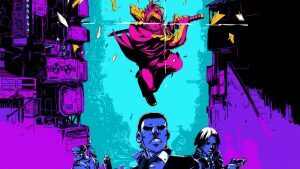 Guerrilla’s story doesn’t do anything spectacular but it serves its purpose to drive the game forward. As a matter of fact most of my time with Guerrilla was spent destroying EDF property just for fun rather then worrying about the story missions, although they do present some fun set pieces. The amount of destructibility is massive. Nine years ago it was impressive and nine years later it’s still some of the best destruction I’ve seen in a game. Guerrilla throws a lot of different types of activities for you to try out. Outside of the story missions you can partake in various side missions. Rescuing civilians, sabotaging EDF transports, and mounting assaults on EDF strongholds. These missions aren’t necessary to complete Guerrilla but add a lot to the games replayability. Moral is supposed to play a big role in Guerrilla and everything supposedly depends on it. 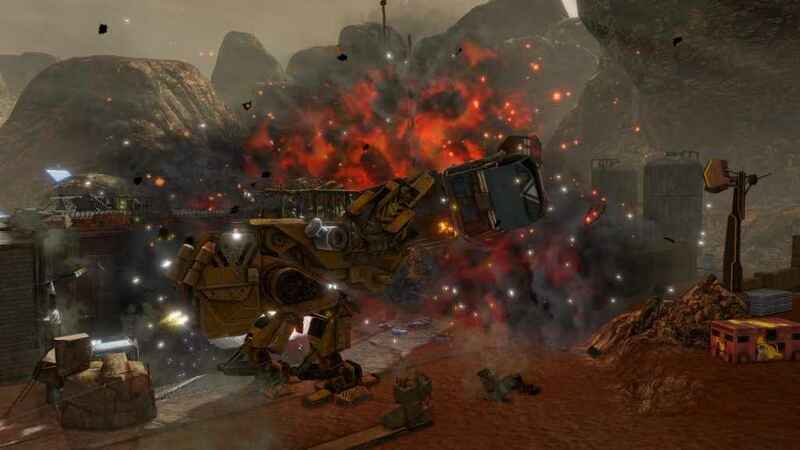 Destroying EDF compounds will raise the moral of the Red Faction, ehich is important to liberating sectors of the map. Once a sector is cleared, EDF forces appear scarcely and give you a lot more freedom to move around. Moral can also drop if you kill civilians whether on accident or by crossfire. Moral also drops if Mason is killed. This is unfortunate because Guerrilla is a tough game. Believe me when I say you will die a lot and that’s speaking from experience. The good news is that loss of moral isn’t that impactfull as it’s revealed to be. The loss of moral never really has that big of an impact simply because destroying EDF property gives you such a bigger boost to moral and I quite honestly never felt like I was in trouble from loosing a moral battle. It’s a nice feature to have but ultimately doesn’t really affect the game all that much if any. Guerrilla’s selling point comes in the form of its destruction. Utilizing their Geomode technology, Volition crafted some incredible destructible environments. Though terrain this time around can’t be damaged, buildings crumble in precision strikes. Using my trusty sledgehammer I was able to knockdown walls, blow up enemy cover and level buildings. The precision destruction is spectacular to look at and even better to pull off. There is nothing like bringing down a building with EDF forces inside it. It’s so good in fact that there’s an actual game mode dedicated to just destroying buildings. The destruction can also be a double-edged sword. Although its great to destroy objects and cover that your enemies are using, this same strategy is constantly used against you. Enemies will drive through barricades in their armored vehicles and grenades will destroy your cover constantly forcing you to move around. Red Faction Guerrilla may be a remaster but jumping onto the PlayStation 4 doesn’t help it from looking kind of boring. Guerrilla is an open world game and ninety percent of it is eye-bleeding red. Mars of course is the red planet, but constantly starring into open red sand isn’t something anyone outside of a geologist would be interested in seeing for hours, so a little diversity would have been nice. Another big problem that seems to be the case with a lot of remasters is the lack of updated codex when it comes to CG cutscenes in the game. Much like the God of War Remasters of the past, these scenes just didn’t get the same upgrade and are stuck in the same resolution they were nine years ago and it clearly shows. The other major problem is the actual driving. Vehicles slide around the terrain as if it was made out of ice and going off of jumps is annoying as the vehicles seem to come to a complete stop after you land. Driving is an important aspect of the game but it was one I dreaded doing. Just another aspect of game that I wish had some time put into it in this remaster. Red Faction Guerrilla was the pinnacle of the franchise nine years ago and with the Re-Mars-tered editon is a great jumping in point for the franchise. Its controls may be dated by today’s standards, but the destructibility it presents is unmatched to this day. Red Faction Guerrilla was the best of the Red Faction franchise and its Geomod technology proves it's capable of withstanding the test of time. It may feel a bit dated in its driving mechanics and shooting controls but it makes up for that in phenomenal destruction that never gets old. You can remap the control layout in configurations. There’s other options to suit preference.